To purchase a pre-owned aircraft takes money, time and most importantly of all... confidence! Confidence in the knowledge that you are investing in the best possible helicopter available at the right price. We buy helicopters for stock and we only buy the best available. We know what we're doing, we've done it over 300 times! Use our experience to help you buy the right aircraft. Our current inventory of available aircraft is listed below. If we don't have what you want or if you need some advice or help comparing different types then please contact us, we're here to help! For new aircraft, please follow the links from the menu on the left. 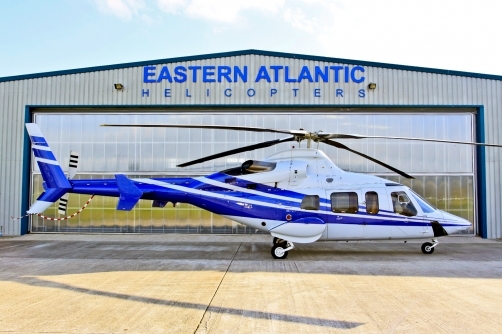 Visit the Eastern Atlantic Service page to understand more about what we do and how we do it. corporate owner. Only 1,395 hrs TT.